Before you update your theme we highly recommend you to backup your site files & database. We recommend you use a plugin like WordPress Duplicator. 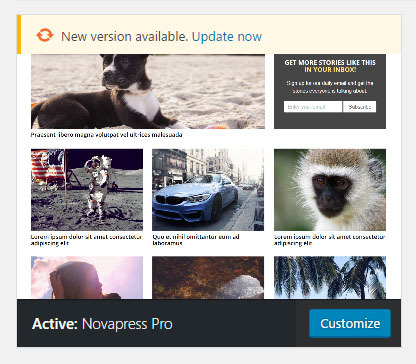 Click the “New version available – Update Now” link for your theme. Important Note: You must activate your theme license in order to receive theme updates.